The capital city of Germany is located in the country’s dry northeastern region and receives around 600 mm of annual rainfall. Yet it has managed to sustain on its groundwater, and not using surface water at all. It has done so by planning and managing its water resource for over a century now. In the 1890s, the city implemented artificial groundwater recharge techniques, such as bank filtration, to increase drinking water production. In this method, surface water is infiltrated into the groundwater by extracting it from near a waterbody. Since the 1980s, it has also encouraged “Green Roofs” (covering a conventional roof with a layer of vegetation planted over a waterproofing membrane to absorb rainwater). Between 1989 and 2008, it reduced its water demand by 50 per cent, says Prit Salian, a water and sanitation specialist at i-Salan a UK-based organisation, in a study. The city also treats its wastewater to add to its water reserves. The Millennium Drought of 1997-2009 forced Melbourne to find ways to reduce water demand. It did so through residential and industrial water conservation programmes. In 2001, the government announced a target to recycle 20 per cent of the city’s water by 2010. 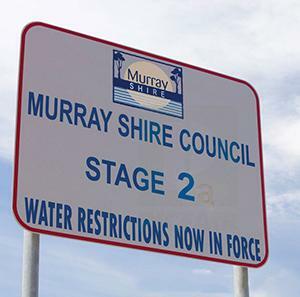 In 2002, household restrictions on water use were announced and in 2003, a ban on pumping water from the aquifer at Werribee was imposed. Increasingly harsh water restrictions for certain actions were announced for households in 2006-07. The city also experimented with using recycled water, in place of surface water, for farming. In 2007, the government decided to build a desalination plant and a north-south pipeline. In 2008, the city achieved the 20 per cent recycling target ahead of schedule. In 2012, the government restricted the use of water for residential and commercial gardens and lawns and banned fountains. This city in south Sudan receives 600 mm of annual rainfall and has shallow aquifers which are rarely recharged by rain due to the presence of impermeable clay layers. Its groundwater revival started in 1995, when a small earth dam was constructed on a seasonal stream called Al-Saraf. Around 2 million cubic metres of water could be stored in the dam, which percolated through the soil to recharge the groundwater, says Mohamed Babiker Ibrahim, associate professor, department of geography, City University of New York. The success of Al-Saraf encouraged the authorities to build another earthen dam, Dalasa II, in 1998 on the seasonal stream of Magadeem. By 2006, the impact of Dalasa II was also noticed. The groundwater levels had increased by several metres and the impact had spread horizontally for about 20 km downstream, says Ibrahim. The dams have recharged abandoned dry wells and helped villages in the vicinity of the city to get more groundwater for drinking and farming. To tackle the water crisis, the people in Gadarif also harvest rainwater. The runoff is collected in artificial ponds called hafirs, says Ibrahim. This island city-state has a very high population density, but no aquifer, lakes or space to catch and store rainfall. In 1972, a water planning unit, set up under the prime minister’s office, wrote the Water Master Plan to develop the blue print of water resource planning. This resulted in a robust water supply system, which is known as the Four National Taps: water from local catchment areas; imported water (from Malaysia); reused water (known as NEWater); and desalinated water. 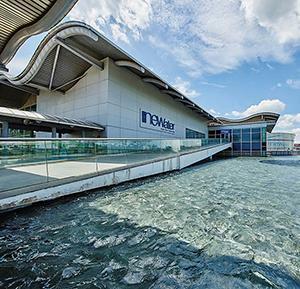 NEWater is expected to meet 50 per cent of Singapore’s demand, and desalination will meet 30 per cent of the demand by 2060. The city has worked on the supply side by reducing water loss due to leaks to 5 per cent—one of the lowest in the world— in 2016. All water connections are legal and metered. The city has emphasised on the use of water efficient taps, urinals and washing machines and water efficiency labelling for such fixtures is a must.